I woke this morning at my usually time, 5:15 AM, and I did not feel quite like myself. Today was the first day since I began training that I went back to bed. Normally I would feel super guilty about this but today I knew I needed the extra few hours of sleep. Game plan for the rest of the day – work from home (and hang out with Curtis), head to the gym in the late afternoon, check back in with work then head to class. 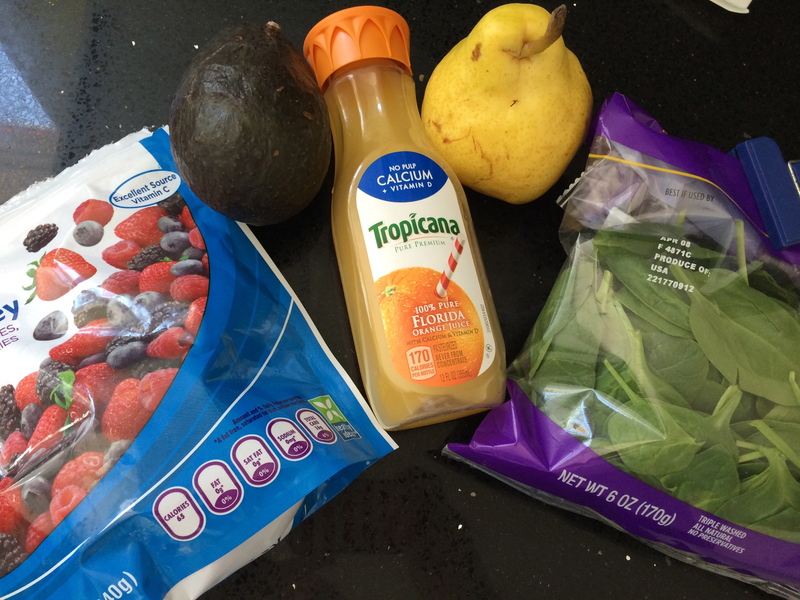 But before all of that…it’s smoothie time! The weather is finally cooperating and now that the polar vortex is gonzo, I can finally enjoy smoothies again! I am on the home stretch when it comes to school and triathlon training and I have been spreading myself a little too thin. In order not to get sick, I need to be on point with nutrition (and the popcorn I had for dinner last night won’t cut it). Is delicious and a perfect way to get a huge bang for your nutritional buck! Tastes best served in a glass you got at your friends’ wedding that you had a blast at! *It has been found that countries with the high levels of dairy consumption also have the highest level of osteoporosis. Calcium from plants is also easier absorbed by the body than calcium found in animal products. This is good news for this non dairy loving girl! Pingback: Spicy Green Juice | Always Emily H.